Slippage: Set slippage of the trade. Multi Magic Number: Set multiple magic number separate by semicolon ";". 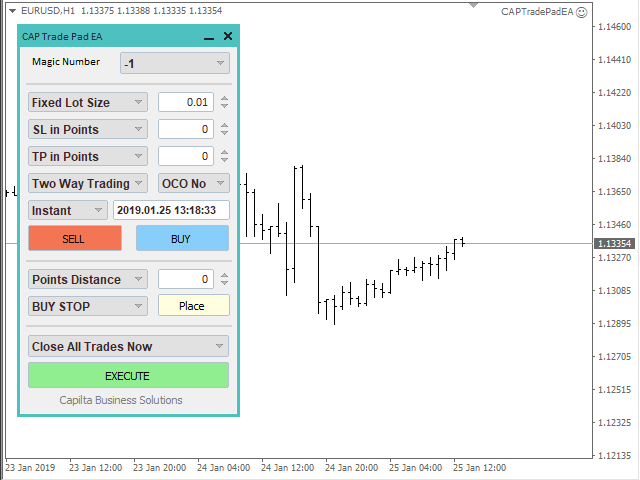 Example- You want to open trade two different magic like 1111 and 2222 then set input here like 1111;2222. 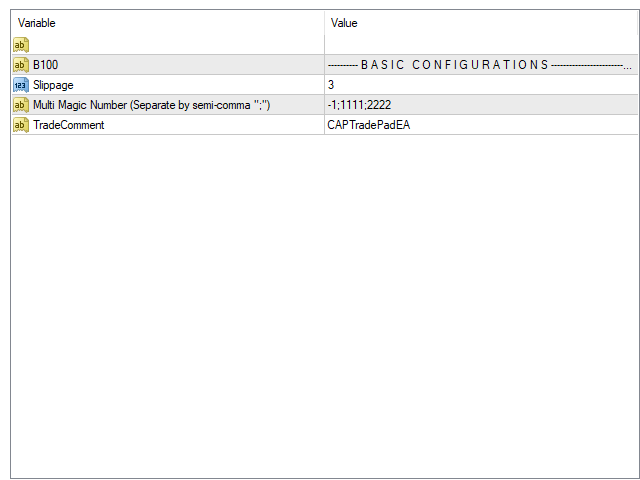 So on trade panel it will show two different magic on combo box, so when you open trade just select the magic number. Magic number with -1 mean EA will not use magic number, EA control all trade. Muy Bueno. Seria importante que guarde las opciones de trading.